“I would like to say that we have been searching for an electrical contractor for 3 weeks, to no avail in them coming or they come and don’t call us back with an estimate, or just don’t show up at all.. So we decided to go through the yellow pages and came across Perfect Circuit, So we Called and spoke to Ken and gave all details of what we wanted done, they were here the next day and started the work. We are very pleased with their appearance and work ethic. We will for sure recommend them to everyone we know when and if they need some work done. It’s a pleasure to have someone who is reliable and actually comes when you call them. My Husband and I couldn’t ask for a more pleasant and respectful crew as Perfect Circuit has.. 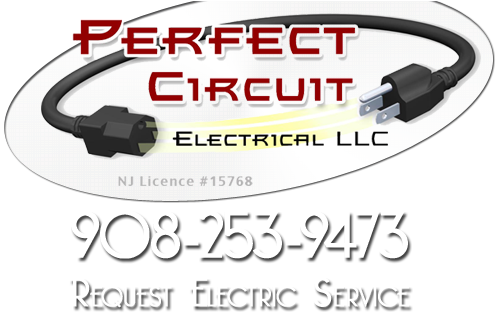 Thank You very much Ken, Justin and Bruce :}” – Joe & Pat P.
If you are looking for a Somerville electrical contractor, please call us today at 908-377-2095 or complete our online request form.